The Flying Fortress Tee is a grey 100% cotton shirt. 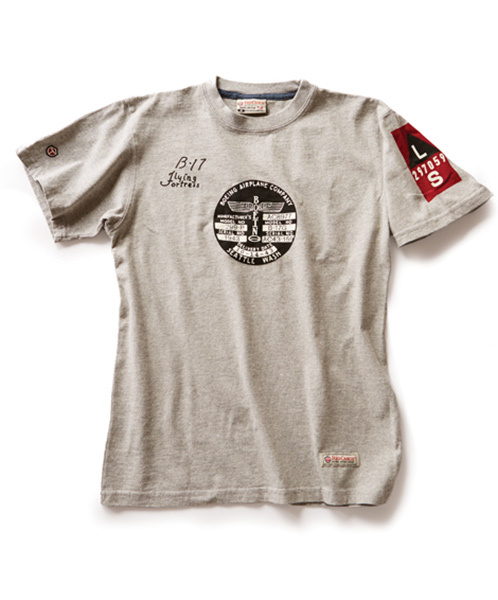 The tee features the Data Plate from a B-17G on the chest with a top view silhouette of the plane on the back. The shirt is available in adult SM-2X and is made in the USA.